My kids are ridiculously excited about Christmas this year. They've been happily prying open their advent calendar and swapping the numbers on the Christmas countdown calendar every single morning. They are just totally into it for the first time. 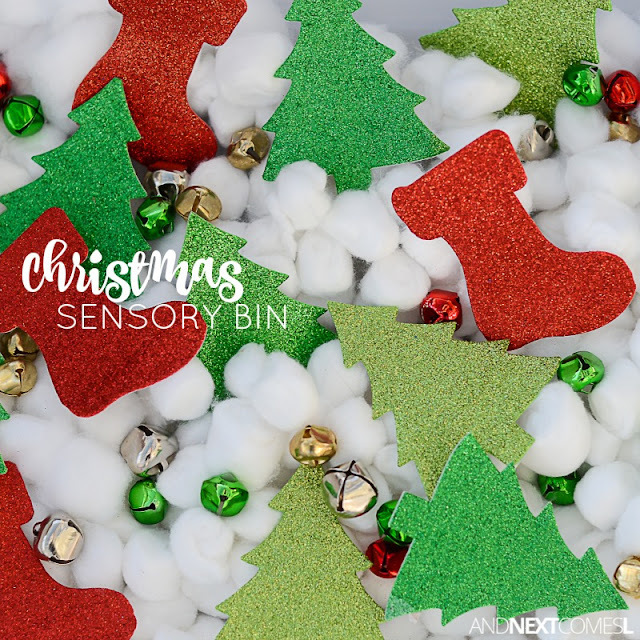 So this simple Christmas sensory bin for kids is one of the fun ways that we have been welcoming and embracing the Christmas season. As is the case with most of the sensory bins that I put together for my kids, this Christmas sensory bin is what I like to call a dump and play sensory bin. Simply grab the materials, dump them into a container, and play. So simple, but yet so engaging! 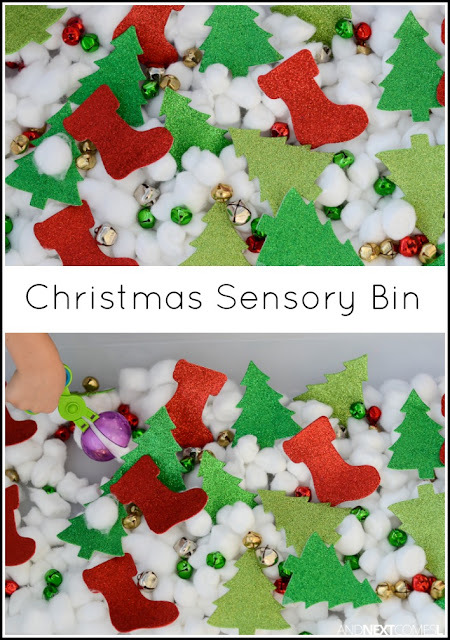 It's also inexpensive to make because you can pick up the materials from the dollar store and reuse them for other Christmas activities as well.